First take one stump. 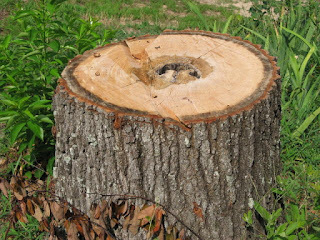 If you do not have a stump, we have many fine stumps to choose from here at the Stump Farm. It is best to choose a fresh stump. Hardwood is suggested. This is a fine oak specimen. 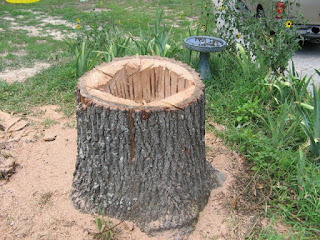 Add one chainsaw and you get a beautiful decorative stump planter.